OTTAWA — Several volunteers in Ottawa–Orléans are accusing Liberal Leader Justin Trudeau of “backroom politics” after David Bertschi, the candidate for whom they were working, was disqualified by the party for failing to repay his old campaign debts quickly. To build public pressure to get Bertschi reinstated, his volunteers wrote an open letter to Trudeau saying they were sidelined to ensure the victory of a star recruit, retired lieutenant-general Andrew Leslie. “We understand that you have a preferred candidate, it has been clear since day one,” they write in a letter to be delivered Tuesday. The volunteers say Trudeau shipped in campaign staff for Leslie and promoted him publicly. They also suggest that the party may have delayed the call of the nomination to give the former army chief more time to catch up on membership sales. “Despite this uphill battle, we held our heads high as we knew that the will of the people of Orléans would prevail. However, today, although having cleared Mr. Bertschi back in May, you’ve shown us and all Canadians that the hard work of over 120 volunteers with more than 13,000 hours logged, means nothing in the world of backroom politics,” they write. Trudeau spokeswoman Kate Purchase declined to comment. “The key to open nominations is the leader does not get involved in the nomination process. He trusts the green light process and the co-chairs,” she wrote in an email Monday. They didn’t believe that Bertschi, a Liberal leadership candidate in the 2013 race, could clear his debt before the next election – something he had pledged to do in May when the green light committee granted him a conditional approval. They said he had missed an Oct. 15 deadline set by Elections Canada to pay his outstanding loans and had not provided the party with any information about his unpaid claims. They said Bertschi had not disclosed during the candidacy review a court proceeding, preventing the party from getting a full picture of where he could be political vulnerable. “The bottom line, if that was their intention to appoint Andrew Leslie, they should have had the guts to do it at the beginning and not waste time, energy and resources of hundreds of volunteers, thousands of dollars,” he told HuffPost. He specifically referred to the Bertschi campaign’s debts, noting that while other leadership contestants planning a run, such as George Takach (contesting a seat in the Toronto riding of Etobicoke–Lakeshore) or Liberal MP Marc Garneau (running in Notre-Dame-de-Grâce–Westmount), had provided information on their unpaid claims; Bertschi had not. Broadhurst dismissed suggestions that the party had blocked Bertschi from running because they were worried that Leslie might lose an open contest. “The decision to revoke Mr. Bertschi’s green-light status was based purely on factors related to Mr. Bertschi and his potential candidacy,” Broadhurst said. He declined to say why the party had yet to announce the date of the vote in Ottawa–Orléans, even though other contests in the area have already been called, including former leadership contender Deborah Coyne’s race in Ottawa West–Nepean. She lost the race there on Nov. 2 and a few days ago wrote a blog saying the Liberals’ nomination process requires serious reform. 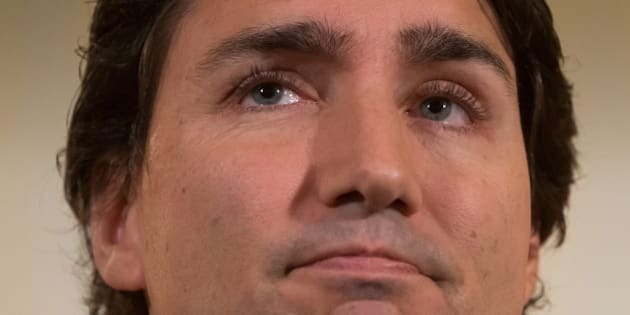 Bertschi told The Huffington Post Canada Monday that his debt had been substantially reduced – suggesting that he had raised $100,000 during six months – and was on track to eliminate the last third by next May. That was a timeline, he said, he had discussed with the green-light committee. “Every candidate was conditionally approved on having a repayment schedule that was reasonable, and that could be met, and we more than complied,” Bertschi said. “As soon as we have any details, you will be the first to know! Thank you for your patience,” Bertschi writes in an email sent on Nov. 10. “To impose this would be an insult to democratic representation and only further the political disgust and apathy our country suffers from today,” they write. Several Bertschi supporters told HuffPost that they feel so disenfranchised that several members of the executive are discussing resigning in protest at their next meeting on Nov. 25. Paquette, who has volunteered in the riding since he was 16, said Bertschi’s team has little chance of getting the party to change its mind. They have started a petition, which had 229 supporters on Monday.